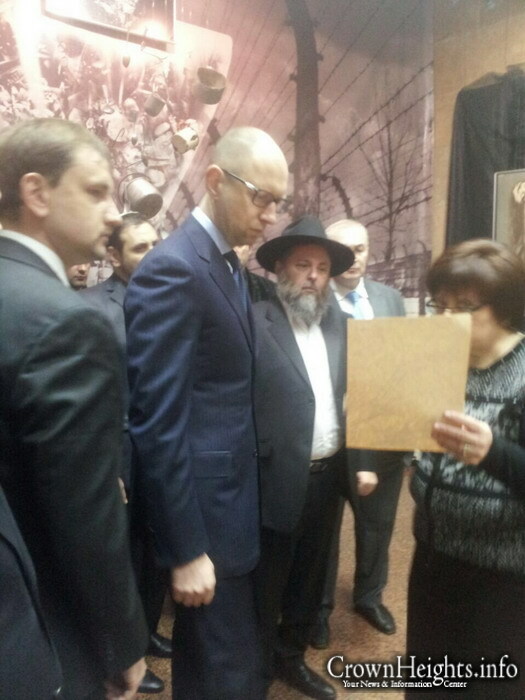 In commemoration of the International Holocaust Remembrance Day, and the 70th anniversary of the liberation of Auschwitz, an official ceremony was held in Kiev, which was attended by Ukraine’s Prime Minister, Arsenyi Yatsenyuk. 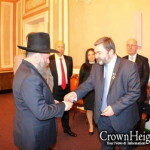 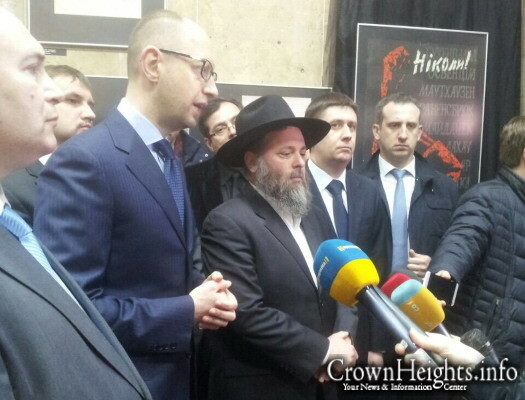 The Head Shliach and Chief Rabbi of Kiev, Rabbi Jonathan B. Markovitch, was invited to lead a prayer at the commemoration. 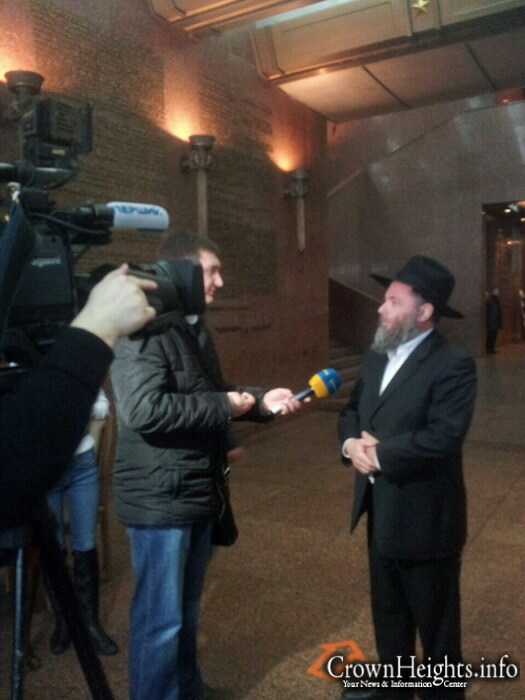 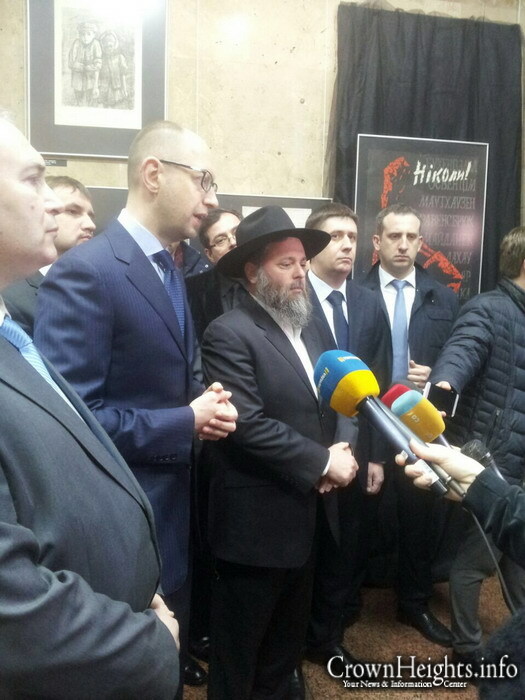 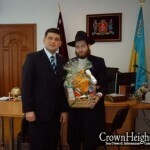 At the end of the solemnity, Rabbi Markovitch and Mr. Yatsenyuk held a private meeting. The talks were concerning the commitment of the Prime Minister to provide security to the Jewish inhabitants of Ukraine, as well as Ukraine’s support for Israel in the face of the current situation in the Holy Land.